It’s often in quiet moments alone that I find meaning, and in the company of others that I find camaraderie and energy. I’ve spent a lot of time in quite the last few months catching up on my reading and searching for more business. 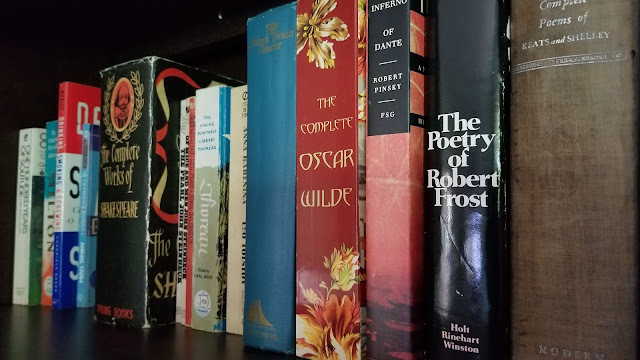 Today I want to share some favorite books. I’ll follow up in the next post with some newly found blogs and podcasts, with a highlight of some of the outstanding articles and episodes from each, respectively. This was a book I started during Christmas time and finished in early January. It reminded me how much I love philosophy, especially when a talented author is able to make it relatable, easily digestible, while still profound. Reading it I realizes how callus and shallow I’ve acted in many instances of my life. It also led to my purchases of some books on stoicism by Seneca, Letters from a Stoic, and Marcus Aurilius, Meditations. Bottom line, this book helps you be a better human and daily reign in any egoist behaviors. It sure did me. If you’ve ever seen any of Hans Rosling’s TED talks on visualizing stats, then you know why I was attracted to this book. If you haven’t...well, this is your chance to fall in love with stats again and see how passionate he was on the topic. 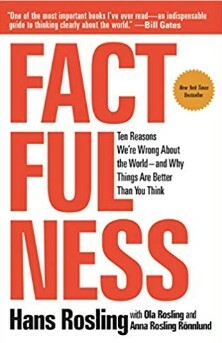 The book serves to remind us of our various cognitive biases and, especially, of how fear and pessimism creeps into our thinking when news is our main daily source of information about the world. I started this book not realizing Hans Rosling wrote it in the last year of his life. I was glad he and his coauthors wrote the book, and felt a bit empty that we lost such a positive force in our lives. This book is a perfect example of how your mind has to be ready to read a particular book or topic, and sometimes it takes many years to prepare. I was given this book almost 25 years ago. I’d ventured many times to read it and never got around to it. 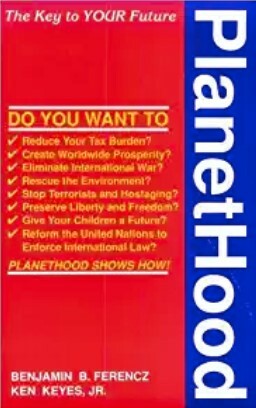 When I did last year, I realized how the message was even more pertinent now than ever: to end maniacal and tyrannical governments around the globe, we need a central entity to better represent every country, acting as a forum to resolve disputes, setup treaties and enforce global laws & rights. 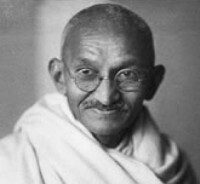 The United Nations is that organization, but not the UN of today that has no enforcement authority, but an evolutionary next phase that's granted global powers of enforcement, the same way that the United States Federal government represents the multitude of sovereign states while retaining some powers that deal with commerce and security. 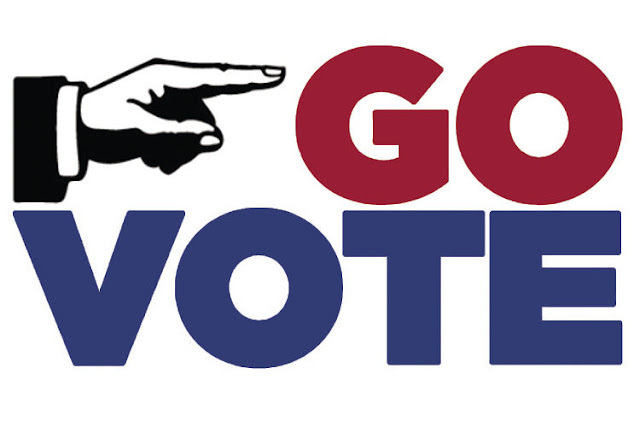 It’s certainly worth a read and a means to learn how you can become active. As you go down this list, you might wonder why I put The ONE Thing before some of the others. I’ve read many books on productivity and self-organization, followed SMART goals setting and execution, and read about daily prioritization from the likes of Franklin Covey and The 7 Habits of Highly Effective People. This book speaks of a different approach: Don’t multitask. Instead, focus on one thing at a time with the most important priority (just one thing) getting your undivided attention the first thing every day. This idea was amplified as I remembered and re-read articles on Jeff Bezos’ habits of taking meetings starting no earlier than 10 AM and dealing with the highest priority in his life in the morning. The book is the reason I’ve been able to refocus as much as I have over the last year and the main reason I’ve been able to read regularly again. Alright, everybody and their mother likes this book. I was late to the game, but I wasn’t disappointed. 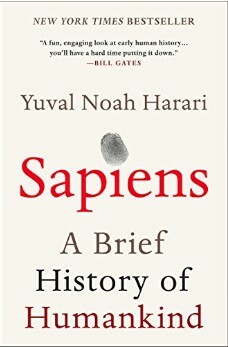 Sapiens made me want to read Yuval Harari’s other two books, one of which is listed below. He’s a bit of a shocker and contrarian. Of course it helps that he’s also a great author. I thoroughly enjoyed better understanding the homo sapien evolutionary steps, how we’ve made so much progress and created such destruction in our wake. This is Harari’s third book. I skipped Homo Deus, which is next on my list. 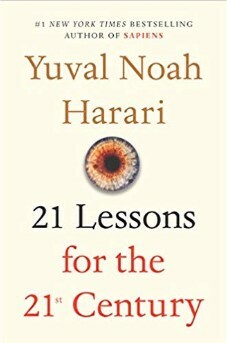 I was eager to read what lessons Harari had for us. Once more, this is a cautionary book that continues the theme of his first book on our psychological dependencies and tendencies that may lead to our absolute demise in the hands of automation and advances in the biological sciences. The book lead me to read many articles on Artificial Intelligence, its progress, huge upside or near immediate human demise similar to what Elon Musk talks about. I’ll point you to some blogs on this topic in my next post. 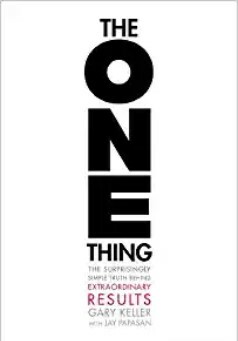 I’ve enjoyed every book by Malcolm Gladwell, from The Tipping Point to Outliers to Blink. Admittedly, I’ve not read all of his other books, but none have disappointed so far. This is another book I wasn’t quite ready for. 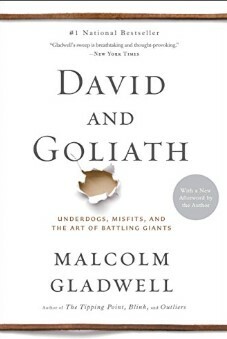 I pre-ordered David and Goliath when it first came out in 2013. It then took me about half a dozen attempts to find a period in my life when I was ready for its message. Similar to his other works, there were some surprising stories that amount to how obstacles and setbacks are the reason we have some of our greatest successes. However, those setbacks work well only for some people and only if they’re of certain type. Post death experiences, where a person dies and is brought back, make those people appreciate life and live it more fully, where a broken leg or arm may not. 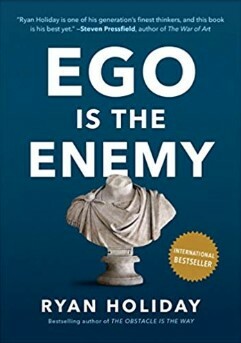 It follows a similar logic as what Ryan Holiday alludes to in Ego is the Enemy and, what I believe, Holiday expands on in The Obstacle is the Way. Endurance in sports is the stuff of legends. Marathoners, triathletes, Iron Man competitors who are able to push their bodies and minds beyond what the average person can. My limited experience to exercising and sports had taught me that the lessons in physical, mental and emotional endurance from sports seem to amplify the same for daily life, whether it’s long trips with family or grinding days at work. I was drawn to the book by how it tackles the subject using scientific research. 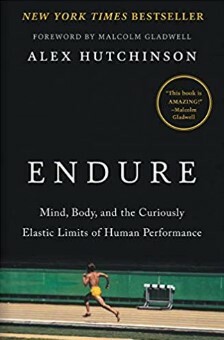 I was glued to the book by how it speaks to nuances in approach to mind and body endurance. There are some direct lessons from the book on nutrition, how to better prepare mentally, and how to better train that you can apply directly to your daily life. Mind you, this is not a recipe book. However, you can’t help but take lessons from the many findings that Alex Hutchinson write about. There’s a part of me reading SciFi and Fantasy in younger years that attract me to books that predict the future. That’s why I picked up the book, but it’s not what I got out of it. The book certainly has some predictions, but it mostly speaks to what’s already here and now. It makes predictions in the way of talking about the trajectory of what’s available now. 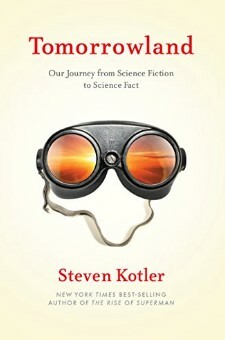 Steven Kotler provides many good historical references from what he has covered over the years as a science research reporter. There are a lot of surprising stories about artificial limbs, gaining superhuman physical and mental abilities, and the reemergence of LSD research. 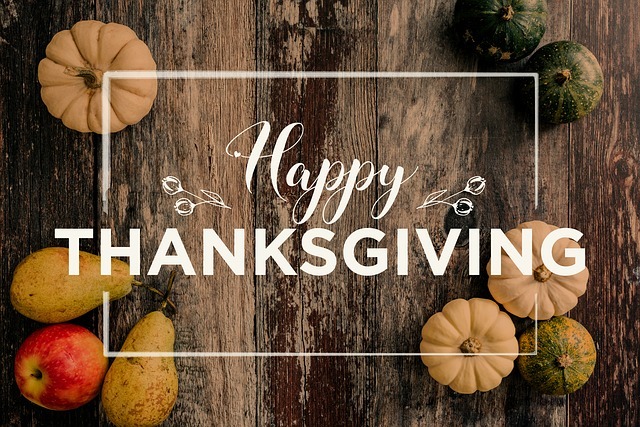 Marketing had not been a point of focus for me until a couple of years back when I started ValTeo Tech. Sure, I’d studied Sales and Marketing in school, but that was more for developing a marketing plan as part of a business plan. There was never any practical advice on how to attract customers. As you can imagine, I was blind sided on this when I started my business. Since then, I’ve realized how Marketing is really about understanding human psychology and how to encourage people to take action, whether to buy or promote. One part of that is how humans love stories. We love hearing of a hero who has to overcome personal and environmental obstacles, needs a guide to show him or her on how to overcome, and, against all odds, he or she does. All great books of fiction or life lessons that stay with us follow a similar formula. In fact, this is what Yuval Harari refers to in his book Sapiens as the “fiction” that’s helped humans trust one another and cooperate to build larger units than a tribe. 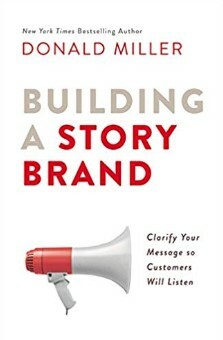 Here, Donald Miller walks you through not only the psychology behind this concept, but also breaks down the structure of a good story and how you can apply it to your life and business. I hope you’ll enjoy these as much as I did. As I’m always looking for good reads, please share any books you think I should pickup.